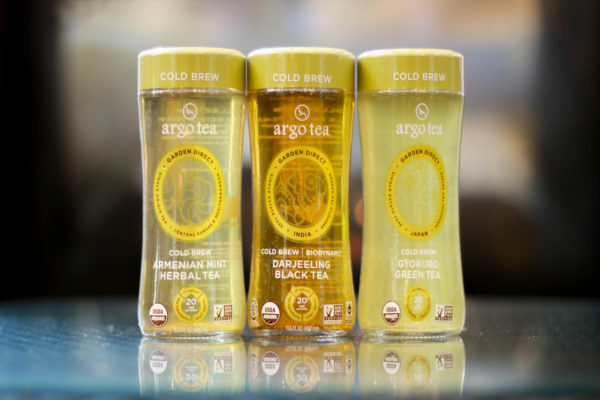 Argo Tea, the Chicago, Illinois-based premium tea brand, is partnering with Whole Foods Market to launch the tea industry’s first line of ready-to-drink (RTD) cold brew single estate bottled teas into the retailer’s stores nationally. The release of the RTD line follows a successful test of the handcrafted single estate cold brew teas in the company’s Argo Tea cafés last year. With the new Single Estate Cold Brew Tea line, Argo Tea is at the forefront of the emerging cold brew tea segment. 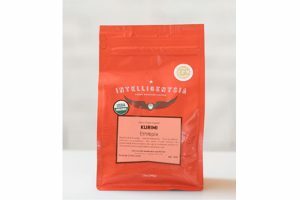 By slowly cold-brewing the world’s premier single estate teas, the company is able to extract high concentrations of the right tea cells – flavonoids and antioxidants – giving the teas an exquisite, smooth flavour. “Consumers are seeking out unique, authentic flavours and we are proud that our Gyokuro green tea will be a part of this special line of cold brew teas,” says Yoshiaki Tsutsumi of Yamaguchi Tea Estate. The premium teas are USDA Organic certified, non-GMO Project Verified, all-natural, gluten-free, vegan and kosher. To enhance the natural character of each tea, Argo adds a hint (20 calories per 13.5oz bottle) of fair-trade pure cane sugar to each flavour. All three flavours are bottled in Argo Tea’s iconic glass bottle, preserving the delicate flavours of the teas. Each tea has a MSRP of USD $2.49-$2.69. The First Flush Darjeeling flavour becomes the only Demeter-Certified Biodynamic ready-to-drink tea available across the US. For a product to achieve Biodynamic status, the ingredients must come from farms that are Demeter-certified – where the farmers manage their farms like a living organism – and the production facilities must meet the Demeter processing standards to ensure an unbroken chain of accountability from farm to finished product. To learn more, visit http://www.demeter-usa.org/. The new line complements Argo’s existing premium RTD business. 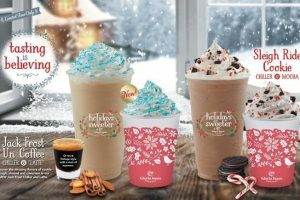 The company sells six Signature RTDs, three Unsweetened RTDs and three Teappuccino RTDs nationwide in over 50,000 retail outlets and in all the company’s 50 cafés. Distribution for Argo’s new Single Estate Cold Brew RTD Tea line will expand to other retailers at a later date. For more information, visit: www.argotea.com.